Transpersonal psychology is at a critical phase of development and women's inclusion and unprecedented participation in personal as well as societal healing has the potential for tremendous applications in many fields. This presentation furthers conversation between the disciplines of transpersonal psychology and women's spirituality, evidencing ways that they may mutually enhance fields of inquiry through an analysis of one aspect of Western women's soul-wounding. The aspect that will be explored is the emergence of transpersonal memories that are arising from Western women's psyches calling for attention in order to heal the patriarchal wounding of women's complicitness and perpetuation of trauma in patriarchal systems of oppression. In Western culture women's voice and creative agency have been subverted under patriarchy, stifling their psycho-spiritual development and stunting their spiritual authority. These experiences can create soul-wounds, an injury to the original and whole essence/soul of being. The presentation will focus on ways that memories that are transpersonal in nature are emerging from the soul-wound caused by patriarchy that a) illustrates ways in which women are harmful towards one another as a holdover from historical ancestral trauma, b) contextualizes and constellates women's soul-wounding as being part of the ancestral trauma of transpersonal events and memories that are welling up in women's psyche's calling for healing, and c) illuminates avenues for healing this soul-wounding through a participatory engagement with the pain of simultaneous forgetting and recovering of women's wholeness and sovereignty that ultimately may bring redemption and meaning-making on both personal and collective levels. This feminist hermeneutical analysis demonstrates an approach toward transpersonal psycho-spiritual development that is both whole person and androcentric, an approach that is underrepresented in transpersonal theories and psychology. 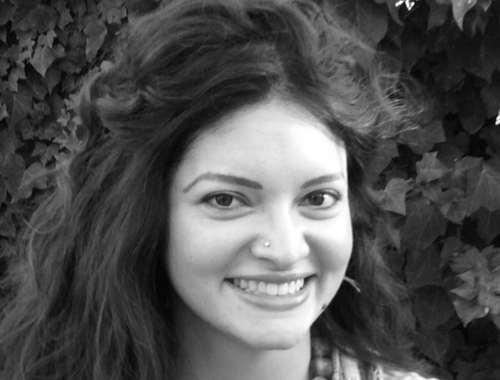 Lillie Falco-Adkins is currently a PhD candidate at the California Institute of Integral Studies (CIIS). The working title of her dissertation is Reframing Western Women's Soul-Wounding as Catalyst for Spiritual Emergency: A Critical Feminist Hermeneutical Approach. The proposed presentation focuses on a section of her doctoral research. Lillie holds an MA in Women's Spirituality from CIIS as well and has presented at the American Academy of Religion, Western Region, in 2011 and 2012. Her research interests include women's roles in spiritual traditions, women's sacred arts, matriarchal studies, and women's psycho-spiritual development. In addition to her academic pursuits she is a scholar-practitioner of Goddess spirituality and earth-based spiritualities and practices.